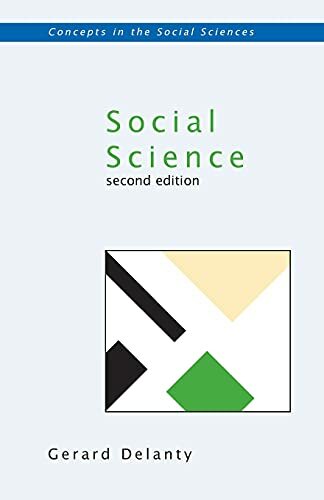 Social Science builds on the success of the first edition and moves the discussions forward and brings up-to-date the material on the positivist dispute, hermeneutic theory, and the critical conception of social science. The main developments examined in this text include the positivist dispute (the rise of rationalism and empiricism, positivism, and implications of the work of Popper and Kuhn); hermeneutic theory from Weber to Schutz and Taylor; and the critical conception of social science, as in Marxism, Adorno, and Habermas. Social Science will be of strong interest to undergraduates and postgraduates in the social sciences as well as to professional researchers working in the areas of the philosophy of social science, the sociology of science and knowledge, and social and political theory. Gerard Delanty is a senior lecturer in sociology at the University of Liverpool, United Kingdom.